Because this is our last day of giveaways I wanted to offer you something that is both great and meaningful. Today our giveaway is sponsored by Bellator Equestrian Style, a Portuguese equestrian brand that creates innovative products for the riders. I have previously written about the brand - read the post here - and I am more than happy to have the opportunity of working with a brand that was created in my country. 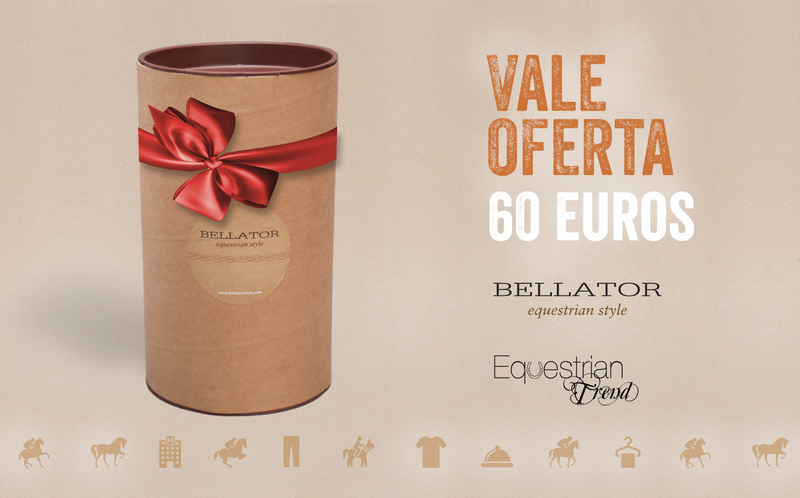 Equestrian Trend and Bellator are offering a 60€ Gift Card. The lucky winner will be able to get a show shirt at Bellator's online store! Enter the other giveaways: Nici Horse Club Charm, GPA Show Shirt, MagicBrush Set & Ringside Pack by Noble Outfitters.